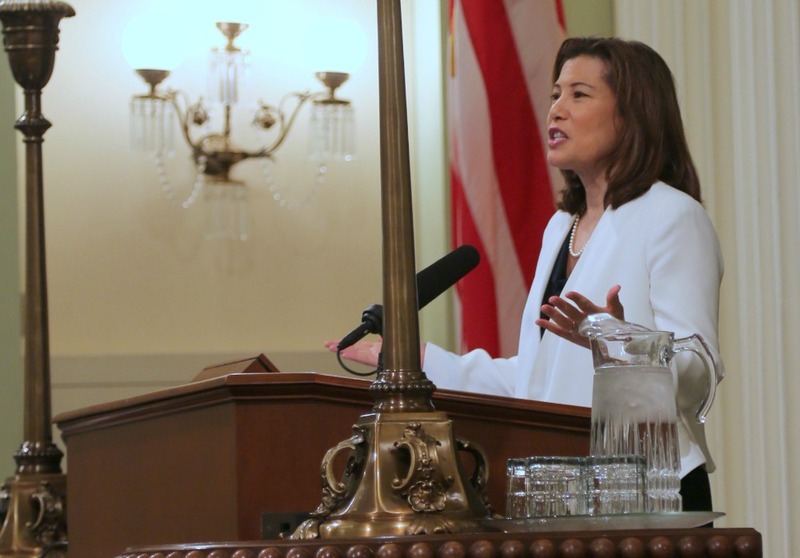 Today, Chief Justice Tani Cantil-Sakauye joined Governor Jerry Brown, Senator Bob Hertzberg and Assemblymember Rob Bonta in a joint statement commiting to work together on reforms to the state's bail system "that prioritize public safety and cost-efficiency." Said Chief Justice Cantil-Sakauye: “During my State of the Judiciary address last year I suggested that the current bail system may not effectively serve its intended purpose of protecting public safety and ensuring court appearance without disproportionately impacting low-income Californians. I subsequently appointed a Pretrial Detention Reform Workgroup to study current pretrial detention practices and provide recommendations for potential reforms. I look forward to sharing these recommendations with the Governor and Legislature as we work together to improve our bail system." Discussions will continue throughout the fall on Senate Bill 10 – the California Money Bail Reform Act of 2017 – which is authored by Senator Hertzberg and Assemblymember Bonta. The bill will be revisited in early 2018. The full statements are available here.